The historic Chisolm Trail that helped start the Old West era in Kansas celebrates its 150th anniversary. Special exhibits in area museums, bus tours, presentations and cattle drives held throughout the year in Texas, Oklahoma and Kansas will celebrate the trail’s legacy. 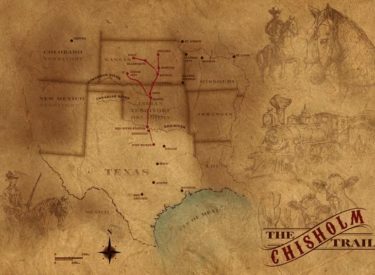 An exhibit called “Chisholm Trail Sesquicentennial: Driving the American West 1867-2017” will travel throughout Kansas museums this year, including the Wichita/Sedgwick County Historical Museum.